How to take control over your monkey mind! If you are not in control over your monkey mind, it will control you and your life! 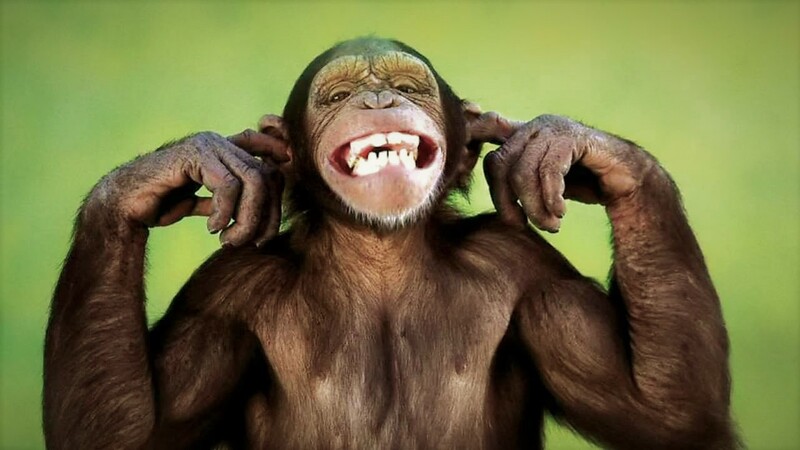 Monkey mind or brain chatter is that never-ending inner dialogue most of us experience. For some it is much more severe than for others. I used to have mine switched on to 110% and could not make it stop which made it extremely stressful and annoying. I now want to share a few of my thoughts on this topic, the consequences and what to do about it. I am no doctor nor health care practitioner so I am only sharing my views on this matter and I recommend that you see a professional if you need urgent assistance. The first thing which is good to know is that you are not alone in experiencing the monkey mind! The majority of us have it, the only difference is to what extent and whether we let it control us or not! When you have realized that it has gone to far and that you can’t stop, nor ignore the chatter in your monkey mind, you have to take action! No one can do it for you even though there is help to get but I recommend you to start right here and now by diligently following the following suggestions. You and only you can decide right now that you won’t take it any more! You can do it from the “safety” of your computer, no one has to know that you have decided to change your life, just put your foot down now and say ENOUGH IS ENOUGH and let’s start a new journey together!! Sadly the consequences of letting our internal chatter control our lives can be very severe. For one, we are not in control, our minds are and those thoughts will become stronger and stronger until something happens. Anxiety is normally close by when the chatter is very intense and you feel that you can’t turn it off. So most likely at this point one will turn to the likes of alcohol or other drugs to “dampen” that chatter (basically running away from the problem). If we let it continue, we all know loads of negative consequences of too much drugs (alcohol) and the effect it has on our minds, bodies and moods. It will of course spill over to any and all relationships we have, often with nasty consequences. If we do manage to keep it inside of ourselves, depression or burnout will likely be hiding around the corner. The endless chatter will be causing you a lot of chronic stress, since most of the thoughts will be negative and related to things you “should” have done. I could write down a number of potential diseases you might get but I don’t want to do that, I just want you to be aware and make sure you take control as soon as possible. If you want to read more on this topic, check this one out. Yes, I have been there and know what I am talking about and it is a tough place to be mentally and emotionally. If you let it, it will control you life, meaning you will be only partially living. The mind in your brain will never stop over-thinking things until it completely runs you or runs you out of all your energy with severe negative implications to your life and your health! Don’t let that happen, make sure you are in control of your mind and you can accomplish anything you want! After reading the below, let me know where you think your mind is “living”? Depression is occurring when we are living in the past (the majority of our thoughts are repetitive). If we are living in the future we tend to become more anxious. Where we really ought to be is in the now because that is when we are the happiest:). We need to find a way back to actually live in our bodies and not only in our heads. Constant over-thinking will drain you out of life itself………. Be aware of who is in charge, you or your monkey mind? If you are not in charge make sure you follow these steps and maybe go even deeper to take back control. Start to take deep breaths frequently, even if just for a minute. This is a very simple, yet great exercise which can be done anywhere and at any time. In your car, on the tube, in the bathroom (why not make it a habit to do it every time you go?!). Practicing letting your thoughts just “fly by”. Just try to be the observer of these thoughts without paying too much attention to them. Just “look” at them and put them back on a cloud and let them go again. This will take practice but it is a great way of starting to quiet down your over thinking mind. Before going to bed, write down your thoughts on a piece of paper just to let them out of your head (check out our post on journaling as it might help). Then practice point two and three above. Start to meditate, read my posts on how to get started and why the most successful people meditate or practice other forms of mindfulness activities. A Daily Focus Sheet will bring you back in control over your time and days – less stress! Turn off distractions! No notifications on your phone and no notifications from your email! You have to get back in control so that you are in charge of your days and not in responsiveness because that will just cause you more stress! Throw out your TV and stop watching the news, no more Constant Negative News! How do you think that will help you in any way at all?? If it is important enough, you will be made aware sooner or later! Spend more time in nature! “Nature isn’t a miracle cure for diseases,” says McRobert, “But by interacting with it, spending time in it, experiencing it and appreciating it we can reap the benefits of feeling happier and healthier as a result.” Read more on this topic here. Start a gratitude journal to focus on all the good things in life – check it out here. Find someone with whom you can talk openly about it and who has experienced something similar and can give you the support you might need. We only get one shot at life, so make it a healthy, happy and balanced one and let’s commit to that now!